There was a 2.5% decrease in mortgage applications last week even though 30-year FRM rates eased. The decline from a week earlier included adjustment for the Martin Luther King Jr. Day holiday. 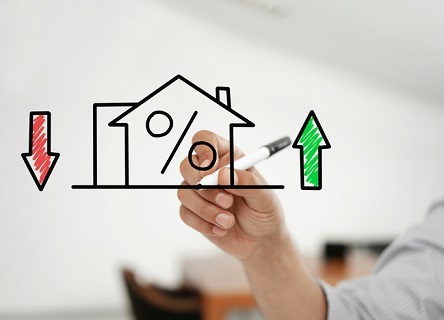 The Mortgage Bankers Association’s Weekly Mortgage Applications Survey for week ending February 1 shows that purchase loans continued to slow even as rates improved. Kan does not expect purchase applications to remain subdued though with moderating price gains and the strong job market, including evidence of faster wage growth. "Refinance applications saw a very slight increase compared to the previous week, despite the broad decline in rates," he added. The overall index – a measure of mortgage loan application volume - decreased 2.5% (seasonally adjusted) and increased 12% (unadjusted). The Refinance Index increased 0.3% from the previous week while the Purchase Index decreased 5% (adjusted) and increased 13% (unadjusted). It was 2% lower than the same week one year ago. Refinances made up 41.6% of total applications, down from 42% a week earlier. The adjustable-rate mortgage (ARM) share of activity decreased to 7.8% of total applications. The FHA share of total applications remained unchanged from 10.5% the week prior. The VA share of total applications decreased to 10.0% from 10.7% the week prior. The USDA share of total applications increased to 0.5% from 0.4% the week prior. The average contract interest rate for 30-year fixed-rate mortgages with conforming loan balances ($484,350 or less) decreased to 4.69% from 4.76%, with points decreasing to 0.45 from 0.47 (including the origination fee) for 80% loan-to-value ratio (LTV) loans. The effective rate decreased from last week. The average contract interest rate for 30-year fixed-rate mortgages with jumbo loan balances (greater than $484,350) decreased to 4.50% from 4.60%, with points increasing to 0.28 from 0.24 (including the origination fee) for 80% LTV loans. The effective rate decreased from last week. The average contract interest rate for 30-year fixed-rate mortgages backed by the FHA decreased to 4.70% from 4.77%, with points decreasing to 0.57 from 0.58 (including the origination fee) for 80% LTV loans. The effective rate decreased from last week. The average contract interest rate for 15-year fixed-rate mortgages decreased to 4.11% from 4.16%, with points increasing to 0.47 from 0.46 (including the origination fee) for 80% LTV loans. The effective rate decreased from last week. The average contract interest rate for 5/1 ARMs decreased to 4.04% from 4.14%, with points remaining unchanged from 0.37 (including the origination fee) for 80% LTV loans. The effective rate decreased from last week.